St. Martin's Press, 1991, Hardback in Dust Wrapper. From the cover: “Many books have been written about growing up gay or about accepting your gay child. But never before has a book been jointly written by a heterosexual father and his openly gay son. 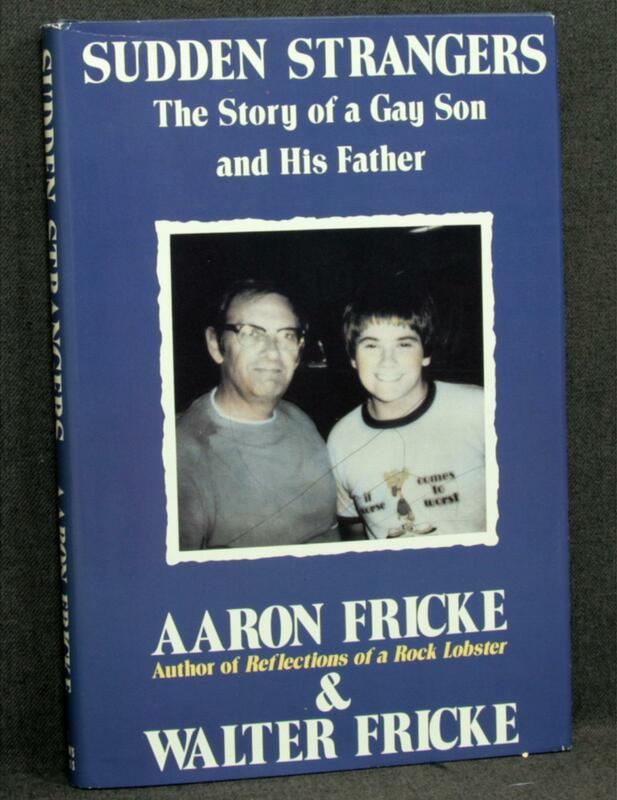 Aaron and Walter Fricke break new ground by sharing their experiences of the subtle, complicated, and long struggle that started the day Aaron asked his father’s permission to sue his high school for the right to bring a male date to his prom, thereby telling his father he was gay. Their efforts to see eye to eye were not without struggle, but in the ensuing years Walter and Aaron worked hard to preserve their father-son relationship; this book is both the record and the product of that struggle. Size: 8½" x 5¾". Blue boards with Gilt titling to the Spine. 112 pages.